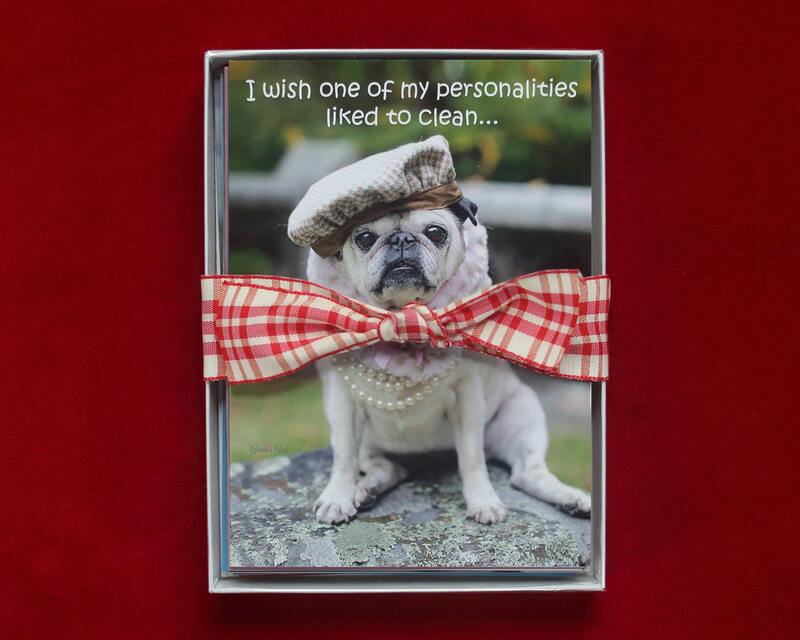 This item is an ASSORTED 10 PACK of our 5x7 greeting cards. The pack includes 10 cards (in a variety styles). This is a great way to keep cute cards on hand. You will always be ready with the perfect card on a moment's notice! You SAVE 30% OFF the individual card price when you order this pack! You can message us to tell us exactly the cards you'd like included, or we will send along: for a few from an upcoming holiday, a few birthday cards and some assorted "everyday cute" all occasion greeting cards. Check out our current holiday selection too!!! The pictures included are as follows: A box of assorted cards, 10 of our greeting cards, A box of assorted cards and some card examples. Please do contact us with any questions you may have. We are always happy to help! 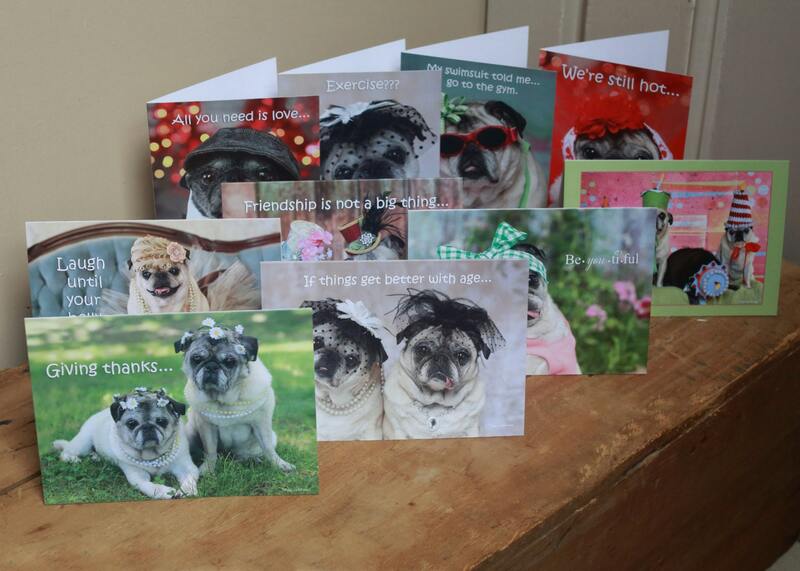 Thank you for supporting pug rescue! 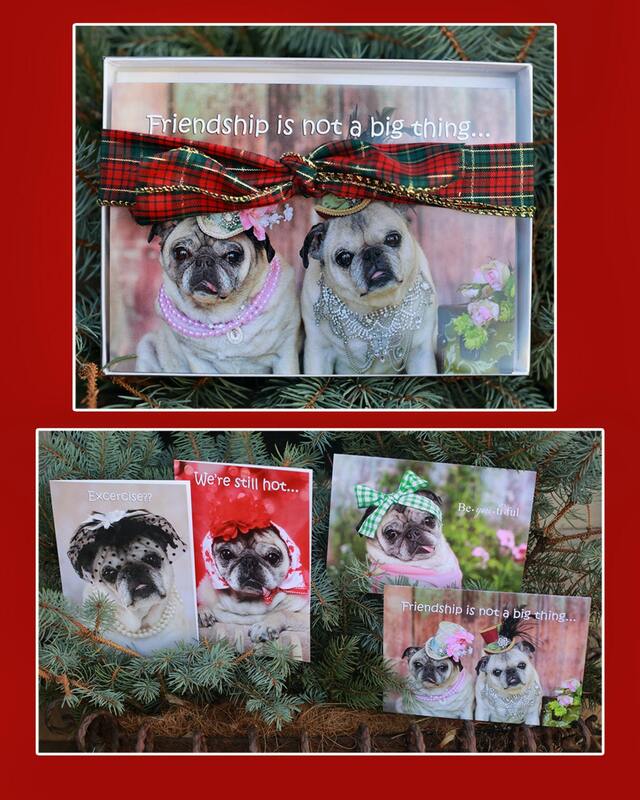 10% of all proceeds from this card and all Pugs and Kisses products go directly to helping pugs in need. We are especially dedicated to supporting organizations that help senior pugs live out their lives in a loving and safe environment. Thank you for all of your help!